The Birch tree (along with Willow, Aspen, Poplar, and Linden) is one of the quintessentially feminine trees of ancient European culture. Interestingly Birch is also regarded as feminine by Native American nations who have traditionally used her wood for canoes, to make paper, and for carrying bags and prayer baskets. Birch trees are associated mystically with new beginnings. They are one of the first trees to take hold in an area where the ground has been disturbed and were one of the earliest trees to appear after the retreat of the last Ice Age. The ancient Indo-European word for Birch is associated with the words; “it shines, glitter, flash, shimmer, brilliance, brightness, white and bright” in several modern languages. Birch has traditionally been known as “the way shower” because of Her bright, white bark. In a dark forest Birch always shows the way. Birch is generally regarded as a Goddess tree. Use Her energy to put yourself in touch with the feminine aspect of the universe and within yourself. Birch is always practical, clean, and well organized. 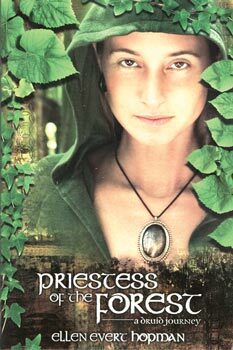 In some ancient cultures She was regarded as the Cosmic World Tree. Birch trees were used as Shamanic “Sky Ladders” in Lapland and Siberia. With the aid of a trance inducing drum beat one could travel astrally up Her branches into the Sky World. The Gaelic word for Birch, Beith, is closely related to Bith (existence, enduring, constant) and with Bithe (womanly, feminine). Birch is the traditional wood for the May Pole in Celtic areas and in Wales the May Pole was always made from a living tree. Birch wood was used in Scandinavia to carve rune sets for divination and in Ireland to carve Ogham inscriptions (the Ogham is the native pre-Roman alphabet whose letters are called by tree names). 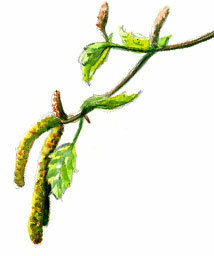 Twigs of Birch were used to light the sacred Beltaine (May Eve) fires. Scandinavian couples would celebrate May Day by making love in a Birch forest. Birch forests were sacred to Frigga, Goddess of fertility and love. The legendary Celtic lovers Diarmid and Grainne slept in Birch branch huts as they fled their pursuers. Birch trees and Linden trees were commonly offered as sacrifices in Druidic groves. Birch leaves taken in tea are laxative as well as healing to mouth sores, kidney and bladder sediment, gout, and rheumatism. A strong brew of the leaves, twigs and bark added to the bath will help eczema, psoriasis, and other moist, skin eruptions. Birch tea is relaxing and sedative. Black and yellow Birch have the best flavor. Native American herbalists have used a yellow fungus that grows on Birch tops to heal tumors for millennia. Modern medicine has only recently discovered this “wonder drug” for use in cancer treatments. Previous postThe Halo – That Glow!